CHP fuel cell energy uses a technology that has widely been used in industrial plants, universities, hotels and hospitals already, but is now emerging as an option for residential properties. Micro combined heat and power (microCHP) increases efficiency by simultaneously generating power and heat from one unit, eliminating energy loss from transmission. Generate heat and power today with the latest technology: put your money on futureproof heating using hydrogen and natural gas. Make yourself more independent of rising electricity prices by using the fuel cell to generate power. Heat more economically and save up to 30 percent energy costs through efficient heating with the fuel cell. This allows you to make long term savings whilst also protecting the climate through lower CO2 emissions! As Micro CHP fuel cell energy is an emerging technology we recommend that you follow us on social media to find out more information as time goes on regarding government subsidies and feed in tariffs. Use the link below to follow us on Twitter. 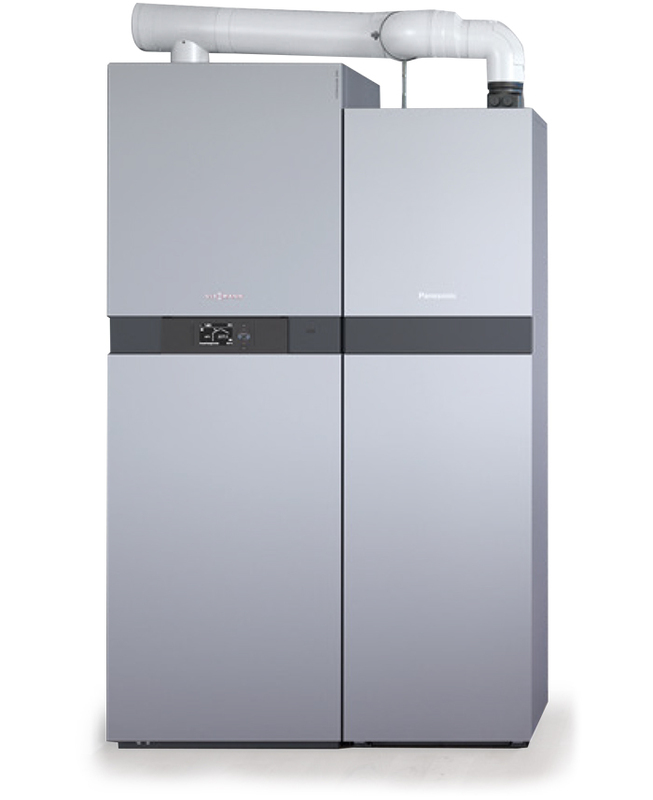 Vitovalor 300-P, the fuel cell from Viessmann, is the ideal energy centre for a modern detached or two-family house. The system combines heat and power generation on a very small footprint. Vitovalor 300-P offers considerably higher electrical efficiency than that available through current combined heat and power (CHP) solutions. This reduces the amount of heat extracted and makes the fuel cell heating appliance particularly suitable for use in new builds and renovations. Vitovalor 300-P is the innovative alternative for decentralised power generation. Against the backdrop of discussions on energy and rising electricity prices, this solution is steadily gaining in relevance. In the future, CHP technology will be an important part of central power generation. With 20 kW, Vitovalor 300-P offers sufficient thermal output to cover the entire heat demand of a detached or semi-detached homes – on a footprint of just 0.65 square metres. 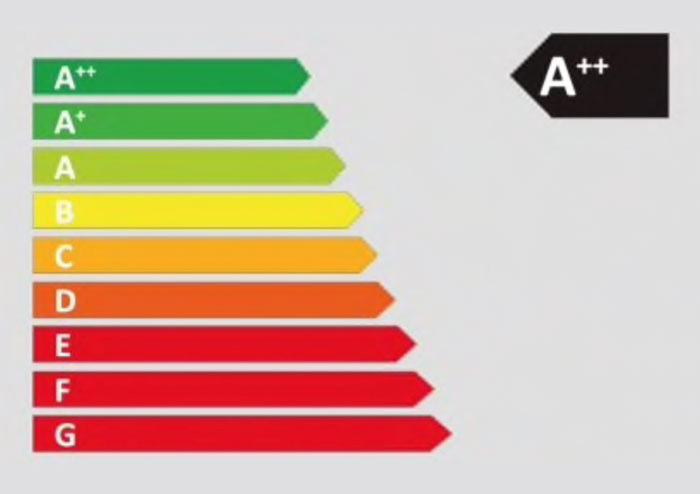 The maximum amount of electrical energy generated over the course of a day (16.5 kWh) is enough to cover the basic needs of an average household. The integral gas condensing boiler switches on automatically when the heat generated by the fuel cell module is insufficient, such as at peak times or when a lot of hot water is required for a brief period. The fuel cell heating appliances are heat led and power-optimised. The integrated energy manager is adaptive and responds to your individual requirements. This means that it only starts the natural gas/hydrogen driven heating appliance when it is worthwhile – when sufficiently long runtimes are expected and therefore corresponding power generation and on-site utilisation. The Vitocharge power storage system from Viessmann raises the on-site consumption rate in a household significantly. If the fuel cell heating appliance generates more power than is currently required, the surplus is generally exported to the grid. However, by combining Vitovalor 300-P with the Vitocharge power storage system, this power can be stored and used at a later time. This translates into a reduction of additional, expensive power drawn from the grid. For more information, go to Energy systems for Vitovalor 300-P.
Current feed in tariff rates can be found HERE.